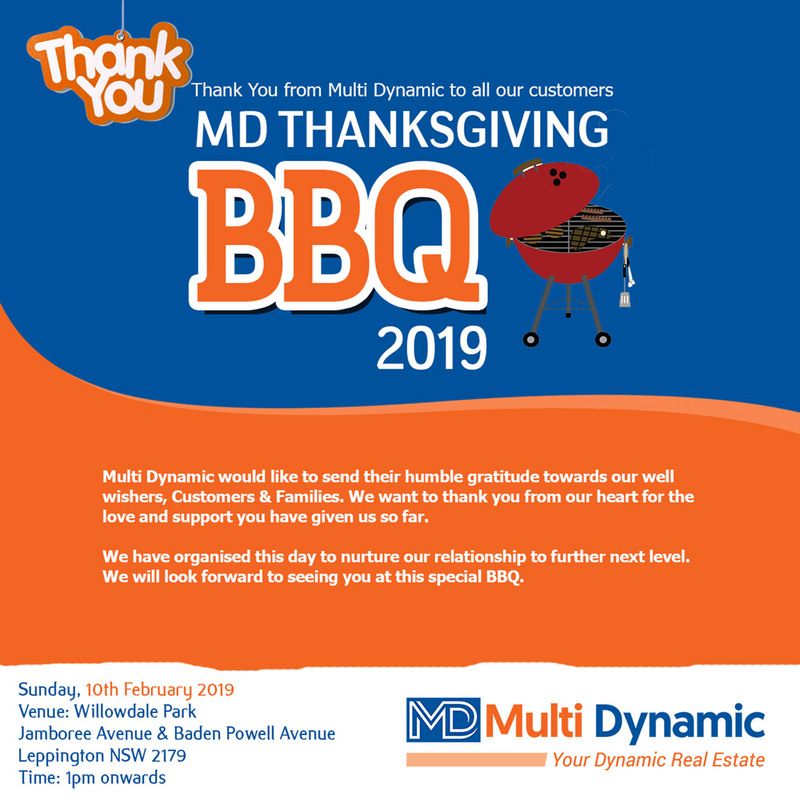 Multi Dynamic would like to send their humble gratitude towards our well wishers, Customers & Families. Multi Dynamic would like to send their humble gratitude towards our well wishers, Customers & Families. We want to thank you from our heart for the love and support you have given us so far. We have organised this day to nurture our relationship to further next level. We will look forward to seeing you at this special BBQ. Your presence will be appreciated !! Based on the report from the facebook we will get a rough idea on how to cater for everyone. Also please do not press going if you know you can not make it to the day. Thank you for understanding in advance.